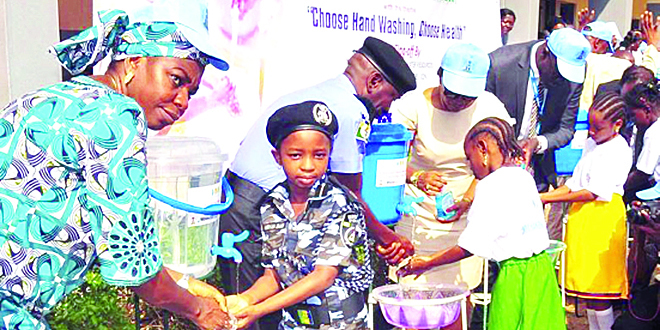 The United Nations Children Fund (UNICEF) has announced that it will reach at least 10 million Nigerians through high profile handwashing demonstrations in schools and communities, mass rallies, road shows, airing of jingles on radio and television, and dissemination of handwashing messages on U-Report, Facebook and Twitter. A statement on Thursday, signed by Doune Porter, UNICEF Chief of Communication, said that it is organizing the programme in collaboration with the Federal Ministry of Water Resources, the National Task Group on Sanitation and other partners. Every year Nigeria loses over 150,000 children from diarrhoea alone, largely caused by unsafe water, sanitation and hygiene practices. This is equivalent to a big passenger aircraft crashing every day. Regular handwashing with soap after using toilets, after changing children’s nappies and before eating or handling food saves more lives than any single vaccine or medical intervention, according to experts. 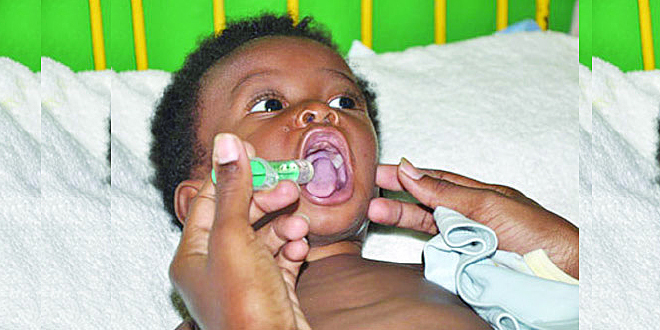 It can reduce deaths from diarrhea by almost half and deaths from acute respiratory infections by one-quarter. Handwashing with soap was also an important line of defense against the spread of Ebola in Nigeria. However, statistics from the United Nations Children Fund (UNICEF ) carried out in six states, found that an average of 82 per cent of people washed their hands before eating, while only 53 per cent of people washed their hands with soap after defecation. Alarmingly, only about 14 per cent of people wash their hands with soap after cleaning a child’s faeces. Regrettably, studies have shown that the Sub-Saharan Africa, the region with the highest child mortality rates globally also has particularly low levels of handwashing. The latest report from UNICEF and WHO showed that in 38 countries in the region with available data, levels are at best 50 per cent. Meanwhile, according to the UN’s latest estimates, over 800 of the approximately 1,400 child deaths from diarrhoea each day can be attributed to inadequate water, sanitation or hygiene. Infants in the first month of life are particularly vulnerable to diseases transmitted by unwashed hands. A number of activities across the world will mark Global Handwashing Day, with the aim of teaching the importance of handwashing with soap especially to children. For instance, a national drawing competition on handwashing in schools will reach 300,000 students in 1,500 schools; and messages will reach 3,000,000 people in 5,500 villages in Democratic Republic of the Congo. A soccer match (Clean Hands vs. Dirty Hands) is planned, as well as a parade, community radio spots, songs, poems, a drawing competition and handwashing demonstrations in public places in Haiti. The Government of Sri Lanka is hosting a week-long learning exchange among schools to establish best practice for programmes across Asia and the Pacific. UNICEF Ambassador for South Asia, cricketer Sachin Tendulkar, will be involved in promoting the importance of handwashing. Global Handwashing Day is celebrated on October 15. The Global Public-Private Partnership for Handwashing with Soap initiated Global Handwashing Day in 2008, and it is endorsed by governments, international institutions, civil society organisations, NGOs, private companies and individuals around the world. This story was published in Newswatch Times on October 15, 2015. It is not only women who are obsessed with bleaching their skins; some men too are involved in the practice. Skin bleaching comes with hazardous health consequences, according to experts. The dangers associated with the use of toxic compounds for skin bleaching include, blood cancers such as leukemia and cancers of the liver and kidneys as well as severe skin conditions. Expressing similar concerns, the National Agency for Food and Drug Administration and Control (NAFDAC), recently raised alarm over increasing use of bleaching creams and skin whitening agents in the country and warned that such chemicals, apart from causing cancer, could lead to psychiatric and kidney problems. devices manufacturers in Lagos, recently. The food and drug agency therefore flayed against continued usage of banned chemicals by unscrupulous manufacturers even as it cautioned users of bleaching cream on its grave implications. Reading what seemed like a riot act in Lagos during the first NAFDAC’s Good Manufacturing Practice (GMP) training for cosmetics and medical devices manufacturers in Lagos, with the theme: ‘Safeguarding the Health of the Nation,’ the Director-General of the agency, Dr. Paul Orhii, said the use of glutathione intravenous as a skin whitener was unsafe and might result in serious consequences, including cancer. He expressed concern that the urge to satisfy customers’ ever-increasing demands and the bid to make profits had driven some cosmetics manufacturers into experimenting with raw materials with little or no safety records. Orhii vowed that the agency would not hesitate to shut down any company, which failed to comply with good manufacturing practice or caught with the banned chemicals. He said: “Skin bleaching is a cosmetic treatment to reduce the prominence of skin discolourations and even out skin colour. It is not only women though who are obsessed with bleaching their skins. Some men too are involved in the practice. In many parts of Africa, lighter-skinned women are considered more beautiful and are believed to be more successful and likely to find marriage partners easily. 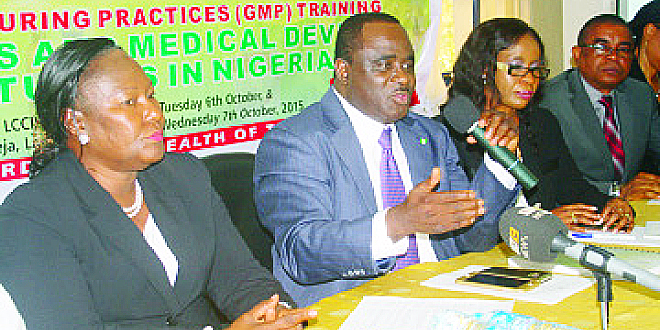 The NAFDAC boss said: “Skin bleaching is a cosmetic treatment to reduce the prominence of skin discolorations and even out the color of the skin. Some people apply skin lightener to their entire body to change their complexion, but this can be very risky. The active ingredient in some skin lighteners is mercury and so bleaching can lead to mercury poisoning. Mercury is a toxic agent that can cause serious psychiatric, neurological, and kidney problems. Pregnant women who use a skin lightener with mercury can pass the mercury to their unborn child. Mercury can accumulate in the body and cause poisoning, which can lead to kidney or liver failure. “Glutathione, a drug that is used to treat cancer may have the effect (side effect), although also disputed by many, of whitening the skin by inactivating the enzyme tyrosinase, which is necessary in melanin production, the pigment that determines skin colour and converts this pigment to the lighter phaecomelanin. The use of glutathione intravenous, as a skin whitener is not approved. 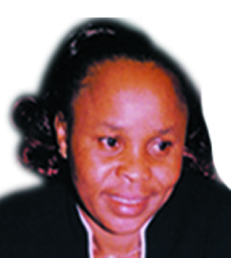 The alarming increase in the unapproved use of glutathione administered intravenously as a skin-whitening agent at very high doses is unsafe and may result in serious consequences,” Orhii stressed. Owners of health brands in particular know that innovation is important to differentiate their products from the competition. They know that generally, new and innovative products can increase the standard of living and provide their consumers with opportunities to improve their lives and wellness. Customers are in love with products that continually improve and make their life easier. Modern consumers are more informed and have more options in terms of what they buy and who they buy it from. Consumers simply won’t accept any product that does not meet their expectations because they can always go somewhere else. In view of this, RB Nigeria has launched Mortein Liquid Electric Device (LED) to demonstrate its commitment to innovation and making life easier for the consumers in Nigeria. Speaking at the product re-launch in Port Harcourt, South-south Nigeria, the Marketing Director, RB West Africa, Silivrili Oguzhan, said the event took place in the locality to improve the health of residents in the geo-political zone. Represented by the Brand Manager, Mortein, Ms. Iku Ejiroghene, he said the re-launch was informed by the need to provide a more convenient way for Nigerians to stem the high prevalence of malaria in the country and Africa generally. 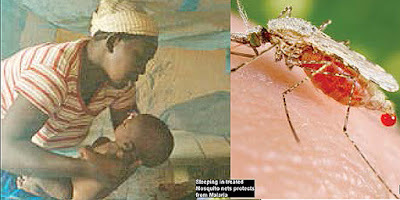 He added that Mortein LED works with electricity and lasts up to 30 nights, killing 100 per cent mosquitoes. ‘‘Malaria is responsible for 60 per cent of outpatient visits to health facilities, 30 per cent of childhood deaths, 25 per cent of deaths in children under one year and 11 per cent of maternal deaths. This is unacceptable’’, he stated. Oguzhan while affirming RB’s commitment towards the control of malaria in the country, expressed optimism that this was achievable through effective collaboration and implementation of targeted initiatives. He also said that the company launched the Mortein Anti-malaria Campaign in 2012 to increase awareness of the negative impact which malaria cause on individuals, families and country as well as to sensitise the populace on the appropriate measures to combat malaria. Oguzhan assured that RB Nigeria would continue to upscale its commitment to assist many more Nigerians live healthier. “This philosophy informed the re-launch of Mortein LED which provides 30 nights of all-round continuous protection for a peaceful night sleep. The new Mortein LED, which comes in a skillet pack, is equally effective and will replace the old Mortein LED which takes the form of a blister pack’’, he disclosed. The Manager, Everyday Group of Companies and a major distributor of RB Nigeria products, Mr. William Onyejele, described the new Mortein LED as another testimonial of innovation for which RB is renowned. “We have been a part of the RB Nigeria family for years, and we are delighted to welcome the latest addition of innovation and value that they have brought to the consumers. The market is ready to accept the new Mortein LED and we are rest assured that with Mortein LED, we can collectively win the fight against mosquitoes and malaria”, he said. The Area Sales Manager, Mortein, Chris Nwanah corroborated that the re-launch of Mortein LED was aimed at offering the consumers a quicker and faster product to combat mosquitoes. Lagos residents have been urged to embrace the awareness and screening programme by availing themselves of the free screening exercise for hypertension, diabetes mellitus and Cancers of the breast, cervix and prostate offered by the government. Permanent Secretary, Ministry of Health, Dr. ‘Modele Osunkiyesi, stated this weekend, on the heels of another round of the state-wide wellness week which began in the State on Monday, even as she reviewed the preparedness of her Ministry for the third round of the programme. The screening programme which began Monday will end tomorrow. She said: “Screening for Hypertension and Diabetes for adults aged 18 and above is going on simultaneously in the 13 Local Government Areas (LGAs) and appurtenant Local Council Development Areas (LCDAs) in the Lagos Central Senatorial District. 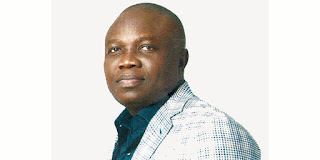 The LGAs and LCDAs concerned are; Apapa LGA, Apapa Iganmu LCDA, Lagos Mainland LGA, Yaba LCDA, Surulere LGA, Itire Ikate LCDA, Coker Aguda LCDA, Lagos Island LGA, Lagos Island East LCDA, Etiosa LGA, Etiosa East LCDA, Iru-VI LCDA and Ikoyi Obalende LCDA ”. She however stated that screening for Cancers of the Breast and Cervix; for women and Prostate; for men aged 45 years and above took place in Apapa – Iganmu LCDA in addition to screening for diabetes and hypertension in the LCDA. Osunkiyesi explained that Hypertension, Diabetes and Cancers; particularly of the breast, cervix, prostate and colon are classified as chronic diseases that cannot be transmitted from one person to another and do not result from any acute infectious process. These ailments, according to Osunkiyesi are also part of a group of diseases referred to as Non Communicable Diseases (NCDs) which include; sickle cell anaemia, injuries and accidents, chronic lung diseases, arthritis amongst others. 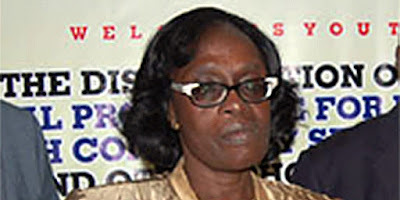 The Permanent Secretary stated that NCDs cause death, dysfunction, or impairment in the quality of life, adding that they usually develop and continue over relatively long periods with the diseases resulting from prolonged exposure to precipitating factors, associated with personal or lifestyle behaviors and environmental factors. “NCDs are by far the leading cause of mortality globally, representing 60 per cent of all deaths. By 2020, it is predicted that NCDs will be causing seven out of every 10 deaths in developing countries. NCDs which can be referred to as invisible epidemics are an under-appreciated cause of poverty and hinder the economic development of many countries”, Osunkiyesi said. She said that the burden of NCDs has an adverse impact not only on the quality of life of affected individuals and their families, but also on the country’s socio-economic structure, stressing that the most common and the most dangerous NCDs are Hypertension, Diabetes and Cancers. “These diseases have some common causes which include; obesity, excessive alcohol intake, heredity; diet or heavy intake of saturated fat, salt, cholesterol, and calories, smoking, age; especially over 45 years, inactive or sedentary lifestyles and lack of regular health screening”, the Permanent Secretary explained. Osunkiyesi while stating that Hypertension, Diabetes and Cancers are usually severe and more expensive to manage at late stages noted that the diseases can be adequately controlled if detected early. The Permanent Secretary noted that in contemporary times, developing countries including Nigeria are undergoing major demographic and epidemiological transition, with significant increase in the burden of Non Communicable Diseases. 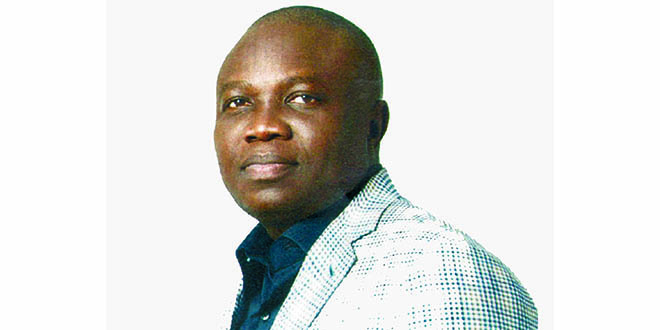 “It is in realization of this and towards improving the health of the people of Lagos State that this integrated preventive health screening programme termed the Wellness Week is being implemented by the state Government”, Osunkiyesi said. Chioma Umeha, Health Editor Newswatch Times, including eight others are to report on malaria research and development, drug resistance, and innoation in Thailand and Cambodia. Malaria No More’ on Thursday, introduced the winners of a new press fellowship that gives journalists the opportunity to learn firsthand about the progress and challenges in the malaria fight. More than 225 journalists from more than 50 countries applied for the four-day fellowship to Thailand and Cambodia. Malaria No More and the International Center for Journalists selected nine journalists who will connect with top researchers, government officials and small business leaders to learn more about malaria research and innovation. The trip will also focus on cross-border migration and disease control issues.The programme comes at a pivotal time in the malaria fight: Earlier this week, a Chinese scientist shared the Nobel Prize in Medicine for her work on artemisinin, a key antimalarial drug that now faces resistance in Southeast Asia. Speaking at the United Nations (UN) last week, President Obama said it was a “moral outrage” that so many children are just “one mosquito bite away from death.”The following day, Bill Gates and Ray Chambers, the U.N. special envoy for malaria, outlined a vision for malaria eradication within the next 25 years in a new report, From Aspiration to Action: What Will it Take to End Malaria? Malaria deaths have declined by 60 per cent in the past 15 years, but the disease still kills almost 500,000 people every year – most of them children. Malaria is increasingly resistant to the tools we have to fight it. There is growing consensus that eradication is the only sustainable solution to the deadly disease. The programme is supported by the Bill & Melinda Gates Foundation. Fellows will participate in issue briefings, roundtables, and conversations with experts and high-level officials during their trip in early November. The nine journalists are: Sarika Bansal, Medium – Editor; Casey Hynes, Independent journalist; Joshua Keating, SLATE – Staff Writer; Phillip Martin, PRI’s The World/WNYC The Takeaway – Sr. Investigative Reporter; Sydney Lupkin, VICE News/MedPage Today – Enterprise Health Reporter and Eulimar Nunez, Univision – Multimedia Health Producer. Others are, Jyoti Shelar, Mumbai Mirror (India) – Special Correspondent; Chioma Umeha, Newswatch Times, Ltd (Nigeria) – Health Editor and Astrid Zweynert, Thompson Reuters Foundation – Editor.